As the Los Angeles area of California braces for the fourth large storm in the past few days, the threat of flooding and mud slides in residential areas is reaching critical mass. The mayor and emergency services are telling residents to be prepared to evacuate their homes, and that if a law enforcement officer shows up at their door and tells them to leave, they must leave! Residents are also being advised to have enough food, water, and other supplies on hand to survive for 72 hours away from home. That's sound advice, but historically many residents have been reluctant to leave their homes and leave all the stuff they worked so hard to acquire to the fate of the weather. How do you pack 500 books, 1,000 DVDs and CDs, a coin collection, that Rembrandt painting, the gun collection, the spare ammunition, several decades worth of photographs, the Persian rug ... into the family SUV along with two kids and the dog? You can't. And even if you could, do you want to leave all that valuable stuff locked up in a vehicle that may get broken into? 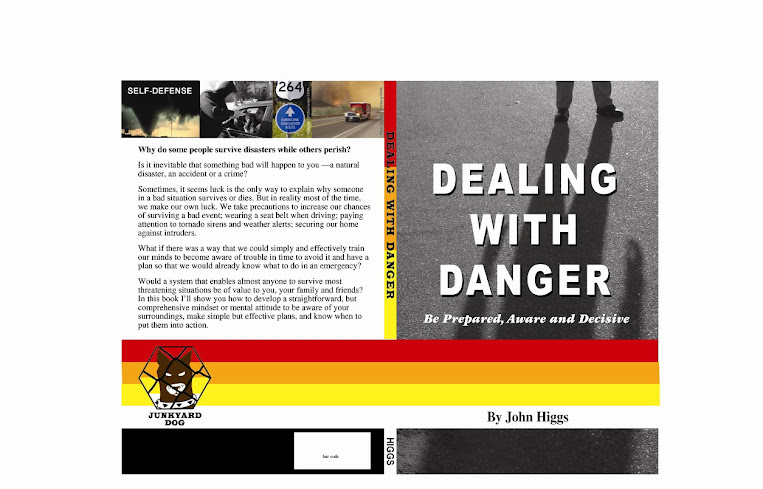 But what you can do is to prepare in advance of storm season and stage at least some of these items in a location outside of the danger zone. This could be at a friend or relative's home, it could be in a rent-by-the-month storage locker. This solution isn't rocket science, but it does require some planning long before the storm clouds start gathering. It requires taking the time to determine a storage location and plan what needs to be transported there. The other part of the plan is knowing what can be left behind because it can be replaced fairly easily. And for those items, it also requires having a homeowners insurance policy that will cover the cost of replacing items damaged or lost. We are lucky that modern technology can predict bad weather. it gives us the opportunity to plan, and prepare so that if that knock on the door comes, we can grab our personal bugout bag and get out of Dodge without having to worry about those items that are so important to us. The 7.3 magnitude earthquake that has devastated Haiti at the western end of the island of Hispaniola in the Carribean Sea has already killed thousands of people, and the after effects are likely to kill more. Haiti is the poorest country in the western hemisphere. Two thirds of the population relies on subsistence farming, and the country as a whole suffers from a shortage of potable water. These two factors alone will cause major problems over the next few weeks and months. I doubt that the country can support it's population without major contributions from the UN and surrounding nations. As bad as this earthquake was, it is likely to be just the beginning of a bad run of luck for the people of this poor nation. In the short term, one of the most serious concerns will be finding enough clean drinking water for the survivors. In the 90 degree heat, the corpses of people killed in the earthquake are going to present a major health risk and possible contamination of drinking water unless they are removed quickly. Along with a water shortage, Haiti has very few emergency resources. The nation's ambulance brigade and hospital system is woefully inadequate to deal with a nation-wide problem such as this. So, we can expect more fatalities from those already injured, and those people who will eventually die from their injuries sustained in the earthquake, and a combination of sickness and dehydration. We are also likely to see that help from the outside will be too little and too late to save every person who survived the initial earthquake. And the great shame here is that the population had so little before the 'quake, and now has even less resources to look after itself. It has to rely on foreign governments and organizations. The earthquake in Haiti has presented us with some valuable lessons that we'd be wise to learn. It's foolish to think that we in the United States are immune from these disasters--it's just that we have better resources to deal with them when they strike. But that doesn't mean that as individuals, we can sit back and expect emergency organizations to rush to our aid. New Orleans, in the aftermath of Hurricane Katrina demonstrated that the people who took responsibility for their own survival had a greater chance of surviving than if they simply waited for help. Be sure to have several days worth (or more) of drinking water available. Be sure to have several days worth of the type of food that needs very little preparation available. Keep a good first aid kit at home and another one in your vehicle. In case cell phone communications are unavailable--as they were immediately after 9/11--develop a plan with your family of where you will meet, and when, if you are not all together when disaster strikes. Identify the most likely events for where you are: earthquake, forest fire, flooding, terrorist attack, and then develop a simple plan for that eventuality and talk it through with your family, friends and neighbors. After enduring decades of violence and oppression from dictators such as Papa Doc Duvalier, and Jean-Bertrande Aristide, hurricanes, poverty, AIDS, and illiteracy, you'd think that the law of averages would cut the Haitians a break. But as the song goes, "...if it wasn't for bad luck, I wouldn't have no luck at all." Please consider making a donation to the Red Cross or one of the other emergency aid organizations. Running away, escaping, or simply Bugging Out is often the smartest way to avoid a dangerous situation. People bug out of burning buildings, bar fights, even countries; many times with just the clothes on their back or whatever they can throw into a bag. I'd like to save a discussion about bugout bags for another time. Today, I'd like to talk about how we can put together a bugout box. A bugout box is intended to store all the important papers that most of us accumulate over time: Insurance policies, bank account information, educational certificates, military service records, last will and testament, list of firearms and their serial numbers (you do have the serial numbers stored in a safe place in case of loss or theft, don't you? ), passports, photocopies of credit cards and driver's license...the list goes on. Imagine how difficult and time-consuming it would be to have to recreate all that information if it was ever lost or destroyed. In the event you have to suddenly bug out of your home, having all those papers stored in a single box makes it easy to just grab them and go. It's important to store the bugout box in a safe, dry place that is easily accessible. Ideally, that location is somewhere like a closet or cupboard that can be locked, that is not a location most people in the home need to access very frequently. What you decide to put in the bugout box is up to you, but the criteria should be something like this: Documents that cannot be replaced easily (graduation papers, military discharge papers); Documents that you may need immediately if you have to bug out (driver's license, passport, homeowners insurance policy, check book, list of contacts such as insurance agent, family, friends, employer, family doctor, etc. ); Documents that have intrinsic value (bearer bonds, stocks, money orders). If you've ever watched TV news accounts of people who have lost their homes to fire, flood, or tornado, you may have noticed how many people value the family photo album above most other things. But most photo albums are too bulky to be included in a bugout box. The solution is to have all your important photos scanned onto a CD or even a memory stick. That way, a huge number of photos takes up almost no space at all in the bugout box. Check with your local office supplies and services store to see if they can do this for you. The bugout box itself should be large enough accomodate standard 8 1/2 x 11 inch paper, and should be made of some material such as plastic or metal so that it can withstand being bounced around. A cardboard grocery box is not a good idea. It may tear open under the weight of all those papers, it may disintegrate if it gets wet. A suitable box is tough, has a hinged lid, and some form of carry handle. You can find this type of box at office supply stores. Finally, as you place important papers into your bugout box, make a checklist of items and leave that in the box where you can refer to it easily. As insurance policies and other similar papers come up for renewal, don't forget to remove the old version from the box and replace it with the latest copy. Bugging out isn't fun. Why make it more difficult than it already is? A bugout box for your valuable papers makes a lot of sense. Since the whole point of the Junkyard Dog philosophy is to be prepared, aware, and decisive, I thought now would be a good time to post a few personal predictions for the new year. As with most of the postings that will appear here, the idea is to get the reader to think about what may be coming down the road, to evaluate how it may affect their own situation and then devise a basic plan to deal with the problem. For our purposes, this is actually more important than accurately predicting the future, which is not something I can claim to do. So, let's look at this posting as an exersize in playing the "what if" game. As we examined in the previous post, I think terrorists will continue to probe security surrounding commercial flights. They will continue their efforts to bring down at least one commercial airliner, and if they are successful they will repeat the same drill in numerous other places. We have to remember that the purpose of a terrorist is to actually influence the actions and policies of governments by terrorizing the people under the control of those governments. To the true terrorist, changing government policy is at least as important as a body count. I haven't seen much from our security agencies to suggest that government-sponsored security measures, such as monitoring no-fly lists or screening passengers, are completely secure and effective. To be fair to the people actually charged with screening passengers, I'm sure they do the best they can, but the problem lies more with the politicians and bureaucrats who set policy and determine procedures. 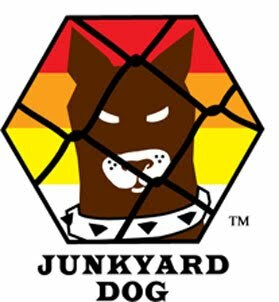 This means that as individual junkyard dogs, we must take up the slack. We must be observant, and question things that don't appear to be "right" and act decisively when it's approriate. In 2009 we saw the most significant attack on US soil since September 11, 2001, when an islamist terrorist who is also a US Army officer opened fire in a crowded room at Fort Hood, Texas. There have been similar events before, but they seemed to have been conducted by angry, crazy people, such as the shootings at Columbine High School, or Virginia Tech. The Fort Hood shootings were motivated by ideology. We have to assume that terrorists will once again, try to copy their success at Fort Hood by staging other shootings, but let's not forget about the crazies either; getting shot by a crazy teenager is just as dangerous as getting shot by a terrorist. Fortunately, 48 of the 50 states allow some form of concealed or open carry of a handgun by law abiding civilian gun owners, and these citizens have a long history of successfully defending themselves from common criminals. (Just pick up any issue of the NRA's American Rifleman magazine and turn to the Armed Citizen column to read newspaper reports.) I think at some point, we will see armed citizens caught up in a terrorist shooting, and having to keep a lid on things until SWAT shows up. As usual, nature will send us floods, tornadoes, hurricanes, earthquakes, hot weather, cold weather, and flooding. What is the most likely incident in your area? Are you prepared to either hunker down and ride out the storm, or bug out before the flood waters rise? A little sensible planning and preparation can go a long way. I can almost predict one thing: whatever we think is going to happen, may happen, but the unexpected is almost a certainty. We have to constantly be looking around us, evaluating information, trying to find what is important and what isn't; and that is the real challenge.